It’s been a month since Asteroid Day 2018, and we want to share with you the reach and significance of what the B612 helped make happen on June 30. Ed and Rusty have been educating and advocating for the world to pay attention to the risks of an asteroid impact for more than 15 years, and they’re proud to say that Asteroid Day, in only its fourth year, is the most successful tool they have ever seen to getting this crucial job done. > Your financial support enabled us to provide infrastructure for Asteroid Day year-round, through online tools and ongoing content development that is shared around the world for anyone to use. > We called on our worldwide network to be camera-ready on June 30, and saw interviews with Ed, Rusty, myself, and B612 Strategic Advisors Dorin Prunariu, Scott Manley, and Tom Jones to name just a few. Our mission is to protect the Earth from asteroid impacts. We do this by developing science and technology through the work of the Asteroid Institute and through public education intended to engage communities and inspire excitement around STEAM education (Science, Technology, Engineering, the Arts and Mathematics), and how we can protect our planet from asteroids in the future. Each year we see Asteroid Day evolving into not just a global movement, but a tool to inspire. I hope you had a great Asteroid Day 2018, and I hope to see you all online or at an event for #AsteroidDay2019! 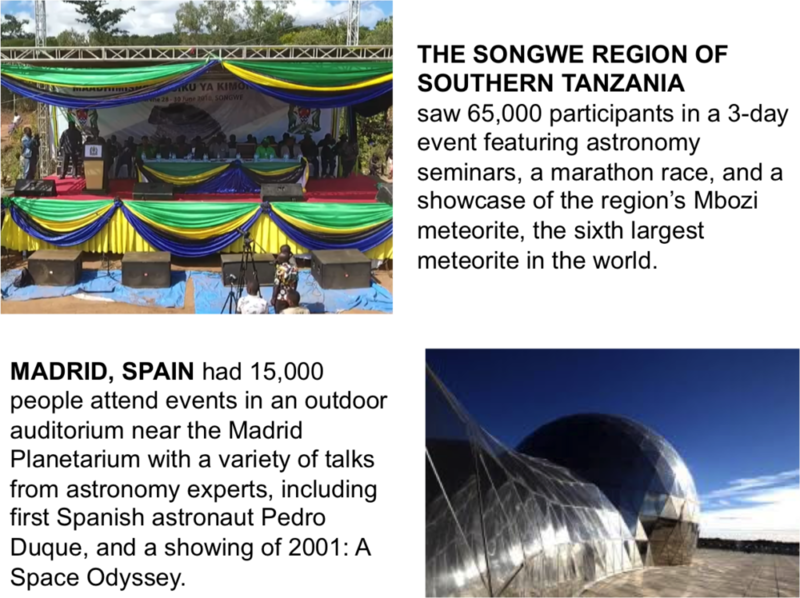 We saw thousands of independently-organized asteroid and astronomy events across six continents. Asteroid Day LIVE from Luxembourg included interviews with over 50 asteroid and astronomy experts in-person at Broadcast Center Europe studios or calling in from across the globe. Social media was abuzz with asteroid talk. 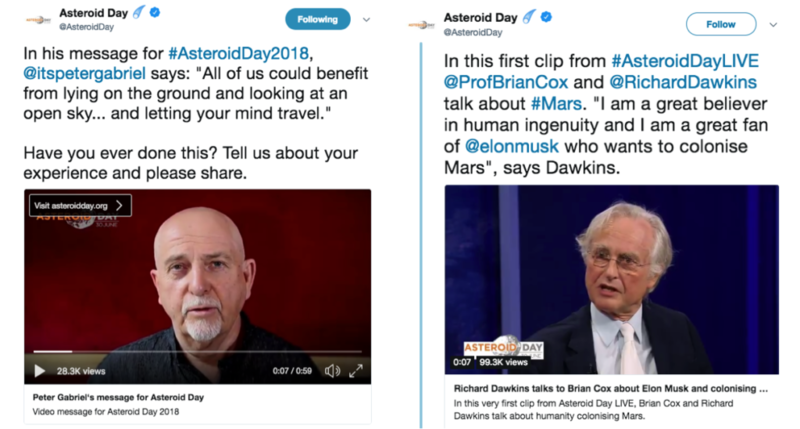 #AsteroidDay2018 and #AsteroidDayLIVE propelled the conversation online. 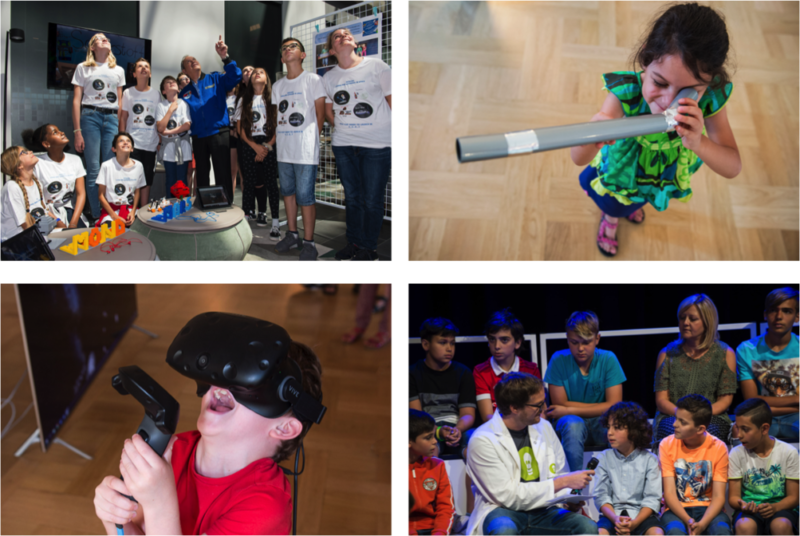 We hope you had a great Asteroid Day 2018 and got to participate online or in an event near you! Stay tuned for information on #AsteroidDay2019.